After taking the wicket-keeping reins in Test cricket, Rishabh Pant has become a household name for his amazing sense of humour behind the stumps. However, the wicket-keeper batsman has stirred a controversy after being caught in the stump mic making prediction of a shot. 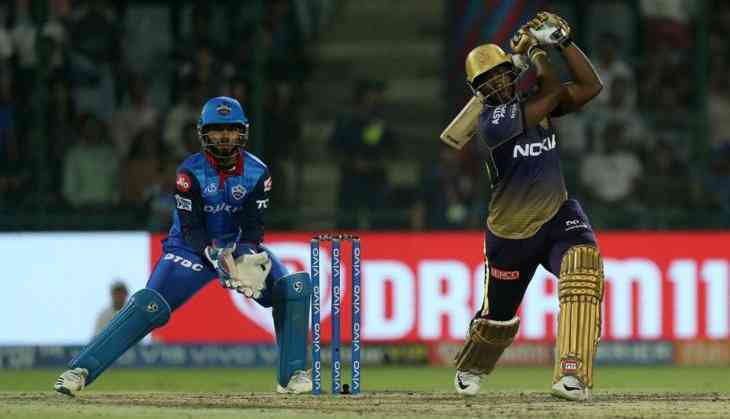 In a match between Delhi Capitals and Kolkata Knight Riders, Rishabh Pant predicted a shot even before the bowler could bowl. Pant was caught on stump mic saying “yeh toh waise bhi chauka hai”. The incident took place in the fourth over when Sandeep Lamichhane was bowling to Robin Uthappa. Just after Rishabh Pant made his prediction, Lamichhane was hit for a boundary by Robin Uthappa. The video is circulating on social media with fans claiming it to be a fixed match. Indian Premier League founder Lalit Modi also cried foul. Delhi Capitals went on to win the tightly fought match against Kolkata Knight Riders with the game going into a super over after it was drawn. Prithvi Shaw missed by a run to become the youngest centurion of IPL as he was dismissed for 99. After winning the toss Shreyas Iyer led Delhi Capitals chose to bowl first. Andre Russell and Dinesh Karthik took their team to a fighting 185 runs. Delhi Capitals came in to bat but couldn’t complete the case as they were also restricted for 185 and that is when the match went into a super over. Delhi came in to bat first and made 10 runs in an over. Kolkata couldn’t chase it down as Kagiso Rabada restricted them under 6. Delhi won their first second match and Kolkata lost their first. READ NEXT >> Mohit Raina shares a pool picture with a mystery girl and sadly she isn't Brahmastra actress Mouni Roy!